Rhode Division 3 league side were will beaten by Raheen 2-10 to 0-3 in the first round of Division 3 played in Rhode on Friday night. The club’s dinner-dance and presentation night will take place in the Bridge House on Saturday night. There will be a drinks reception at 7.30pm with the meal commencing at 8pm sharp. The presentation of the Offaly Senior football championship medals 2014 and the 2013 won by the Parish Under 21 side St. Michael’s will be presented by a special guest. There will also be a special presentation to the members of the Offaly Minor football team from the club were Eugene Mulligan at right half back, Jody Gunning was right half forward and the late Mick Byrne who will be repeated on the night by nephew Paul Melic who won for Offaly its first All-Ireland football title in 1964. The late Mick who emigrated to Canada shortly after that final played at right corner forward. Music on the night will be by the very popular group The Secrets. Coach will leave Rhode village at 6.45pm anyone wishing to go by coach should give their names to any committee member, there will be a nominal fee. Admission is by ticket only and are priced at €25 those who have pre booked their tickets and those wishing to purchase tickets can do so by collecting them in Killeen’s on Wednesday night from 8pm to 9.30pm and Thursday night also from 8pm to 9.30pm or by contacting John Glennon 087 2715 804, Patricia McManus or Seamus Maguire. Thursday night is the deadline for purchasing tickets and anyone looking for tickets after this date will not be guaranteed one. It promises to be a great night as the club celebrates its 26th senior championship win for the club and parish at this level and to honour our players from the Offaly Minor football win of 1964. The Club would like to thank all those who attended the club registration night on Friday night in Rhode Hall. It was a huge success and great credit must go to the Minor Club Chairman Cathal Smyth and secretary Tracey Murphy and other committee members for organising the night and for the refreshments served it was very much appreciated. There was a huge turnout at training for the Under 8 and 10 footballers on Saturday morning and from the club perspective this was great to see. The children thoroughly enjoyed themselves and coaching was spearheaded by Stephen Darby. There are a number of people helping out including Johnny Mooney, Ken Kellaghan, Stephen Darby, Mark Cole, Stephen Glennon, Seamus Cocoman, David Egan, Paddy Glennon, Hugh Mehan and many more. There were also refreshments served by members of the Minor Club and all in all there is a great atmosphere around the place and the was also chats to parents of the children attending. A speedy recovery to Rhode senior player Cathal Nolan who received a hand injury a few weeks ago in a division 1 league game. Hope to see you back in action Cathal in a few weeks time. Get well also to all the people of the parish who are ill or hospitalized at the moment especially to Paddy Mooney, Liam Swaine, Brendan O’Toole, Clare Quinn, Christy Darby and its great to see Derry Nolan out and about again. Offaly Senior footballers kept their promotion chances alive when they recorded a 0-14 to 1-10 win over Carlow in Tullamore on Sunday. Offaly must win one of their last two games against Longford (away) or Antrim at home to be sure of promotion. On the panel from the club were Brian Darby, Niall Darby, Eion Rigney, Pauric Sullivan, Niall McNamee, Anton Sullivan, Conor McNamee, Ken Garry, Paul and James McPadden. Offaly Senior hurlers gained their second brace of points in this years league when they recorded an excellent 1-21 to 0-21 win over Limerick in The Gealic Grounds on Saturday. 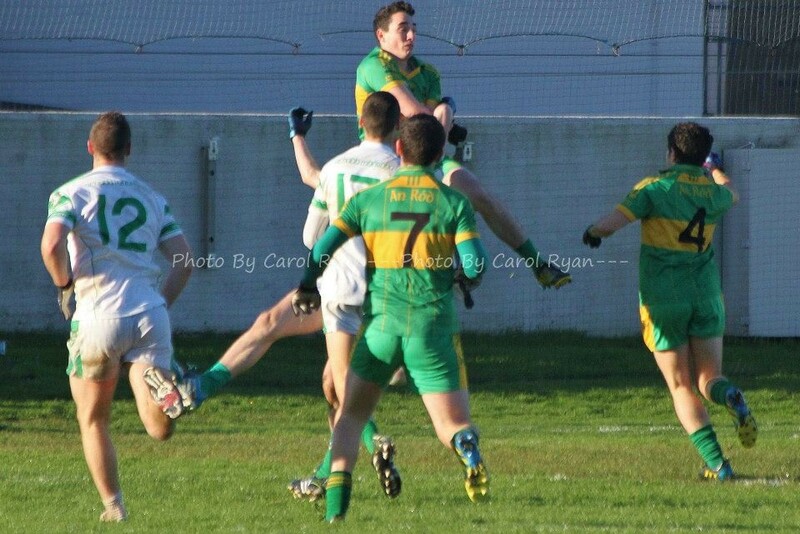 This was a great win for Offaly and puts them in line for promotion. Sympathy is extended to the Mangan family of Tobberdaly Rhode on the death of Danny. Danny was one of life’s gentlemen and was well known in the area for his excellent taxi service in latter years. All at the club and the community as a whole send their deepest sympathy to the Mangan family. Danny funeral mass took place last Thursday in Rhode and he was cremated in Dublin. May he Rest In Peace.